RIVERSIDE, Calif. --- Bad news for New England Patriots fans may just have turned into the best news La Sierra University has received in years. As news broke that Super Bowl MVP Tom Brady will be suspended without pay for the first four games of the coming NFL season, La Sierra was notified of the athlete's willingness to volunteer at the school during his timeout. The California native who was suspended for his role in a ball deflation scandal that has rocked the NFL has said that he will volunteer as a flag football coach for the La Sierra University intramural athletics program. The NFL has stated that Brady was aware that the Patriots deflated footballs, giving them unfair advantage in last season's AFC title game that sent the Patriots to the Super Bowl. Although the Patriots deny the accusations, Brady said he has "decided to make the best of the setback and help a school that is in dire need of assistance." 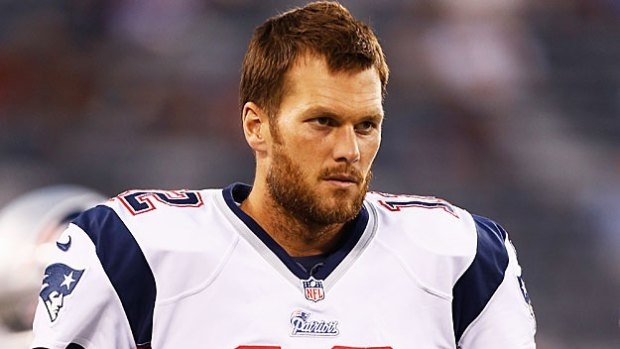 Brady has said that he "looks forward to meeting La Sierra intramural athletes" come this fall. The news spread quickly across the university campus and athletics staff have been deluged with students applying in advance for an intramural spot for next year. "We are not exactly known for our flag football skills here at La Sierra," said sophomore PE major Manuel Rivero, who said that despite being more of a soccer man himself he has signed up to be coached by Brady. "More than anything, I feel bad for Brady. You know you've hit rock bottom when you end up coaching La Sierra flag football." “You know you’ve hit rock bottom when you end up coaching La Sierra flag football.” Ha ha! What about Walla Walla flag football? Southern has been undefeated in college football since 1892! Big whoop. Andrews has been undefeated in flag football since 1874 !